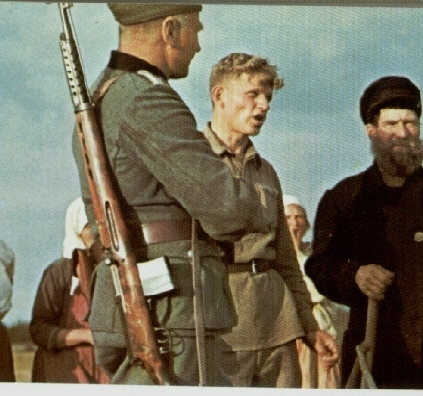 Battlefield Photographs of Captured Soviet Svt38/40 Rifles in Action! 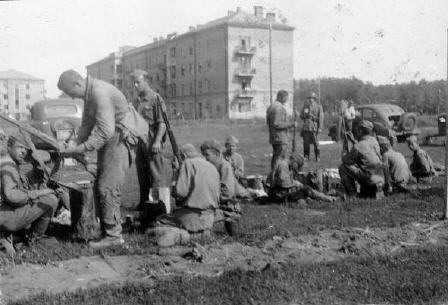 A few interesting photographs of the German usage of captured SVT40 rifles on the Eastern front. 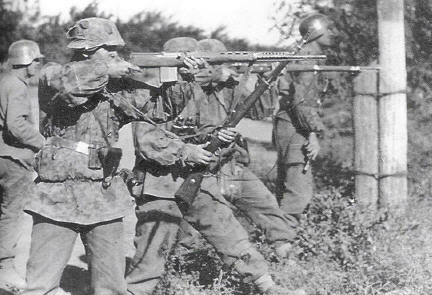 Courtesy of Darrin Weaver, Hitler's Garands pages 59,63,66 Roger J. Bender, and Peter R. Senich, The German Sniper 1914-1945 page 417. 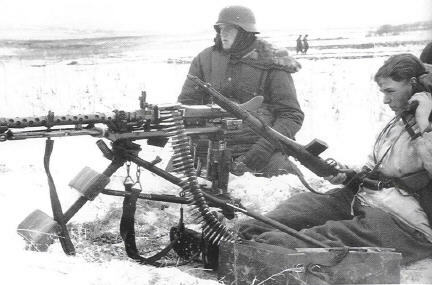 Front line troops armed with an Mg34 heavy machine gun and captured SVT40. 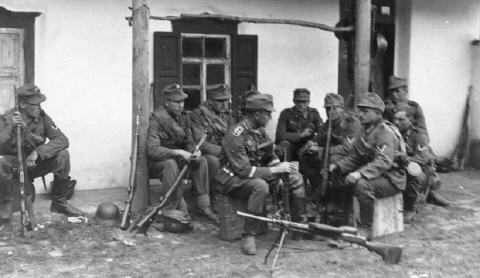 Two more photographs of German troops with captured Soviet self-loading rifles. 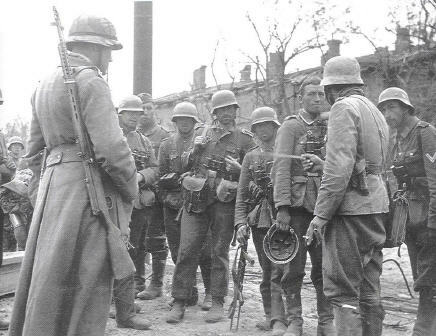 Here is a fantastic image sent in by Jeff Eberle, showing German troops being instructed on functioning and disassembly of the SVT. there are six Svt weapons in the photo! 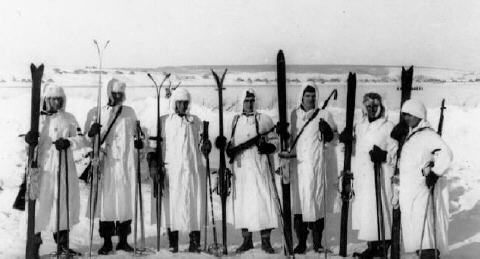 Another image from Jeff Eberle, showing a German Ski patrol unit and one fellow shows the muzzle of an Svt over his shoulder! 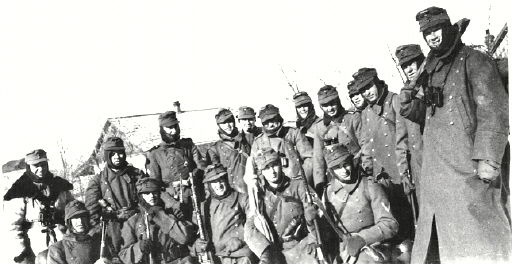 Again, Jeff sends us a photo of perhaps French volunteers on the Ost front. one with an SVT, the other has what looks like a French M-35?! very neat! 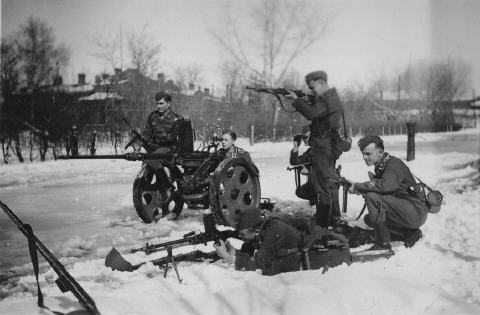 another Photo from Jeff Eberle, the start of the brutal Russian winter has not yet beaten down the morale of these Heer troops. 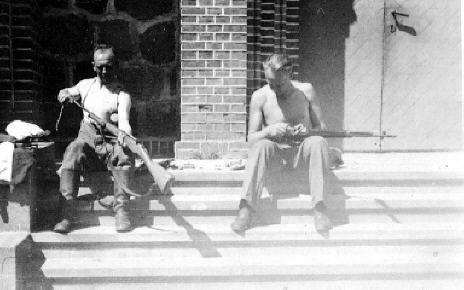 there are two SVT weapons in the photo. Michael Heidler sends us a fine image showing an assortment of weapons including a Bren and an SVT rifle in the bottom left corner. another nice assortment of weapons on the Ost. 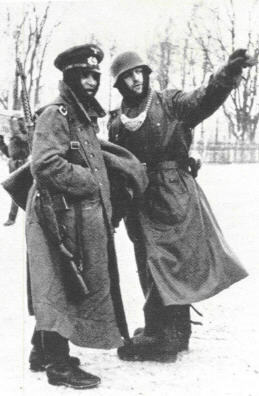 front including a Degyartev lmg, and an Svt with the soldier on the left.